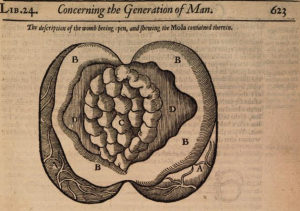 The VIDA blog reproduction series begins with Paige Donaghy’s exploration of how a history of early modern “other” births might create a better understanding of women’s varied experiences of pregnancy, past and present. In the midst [of the womb] thereof I found a lump of flesh as big as both my fists, like unto a Cow’s udder, cleaving to the sides of the womb, but in a certain place, of a verie thick, unequal and cloddish substance. Mrs Roger’s dissected womb, and in the centre, the mola. Ambroise Paré, The Workes of that Famous Chirurgion Ambrose Parey (1685). Molas, like the one Paré encountered, were also known as false conceptions, mooncalves or moles in the early modern period. They occupied a confounding and unsettling place in society and medical thought, largely because they appeared like “true” pregnancies. As seventeenth-century midwife Jane Sharp described in her midwifery guide, “many women themselves have thought that they had conceived with Child because their bellies were swoln so great”. Yet, instead of giving birth to a child, women often gave birth to “lumpes of flesh” or an “idle flesh without forme,” as Paré described. These lumps were described as “flesh and a mass without bones or bowels,” and often contained hair, teeth and eyes. Beyond these strange features, false conceptions were further troubling in that they could be felt to move within women’s wombs. English physician Helkiah Crooke described in his 1612 medical treatise that women “feele sometimes a trembling and panting motion,” which meant that the mole could be felt to move around or have a pulse-like sensation. The history of such false conceptions, and other similar conceptions or conditions, is largely a non-history. Historians have thoroughly examined women’s reproductive health, fertility, infertility, birth experiences, miscarriage, still birth, midwifery and medicine from the early modern period onwards. They have also investigated the cultural, scientific and gendered history of “monstrous births,” a medieval and early modern term that described children born with congenital abnormalities, like conjoined twins. Despite these significant inroads into the history of reproduction, the history of pregnancies and conditions that are “other,” or that don’t quite fit into traditional narratives of reproduction, have gone largely unregarded. “Other” births, like moles and false conceptions, form an important part of the history of the development of midwifery, medicine and science. Most importantly, by establishing that such conditions and experiences do in fact have a history, we can create a better understanding and awareness of women’s varied, and often difficult, experiences of pregnancy. In sixteenth- and seventeenth-century England, such varying experiences of pregnancy were common – one among many things women could face. Seventeenth-century English physician Nicholas Culpeper’s popular vernacular midwifery guide gave advice on the many things women might encounter during their reproductive life. In a chapter of The Fourth Book of Practical Physick describing “Conception and forming of the child,” Culpeper outlined the necessities for perfect conception. He warned that “if any of these be wanting there are Twins [and] more, and other faults”. Such faults included “superfoetation,” “the ill formation of the child,” “a child turned into stone,” “a mole,” and “false conception and swelling”. 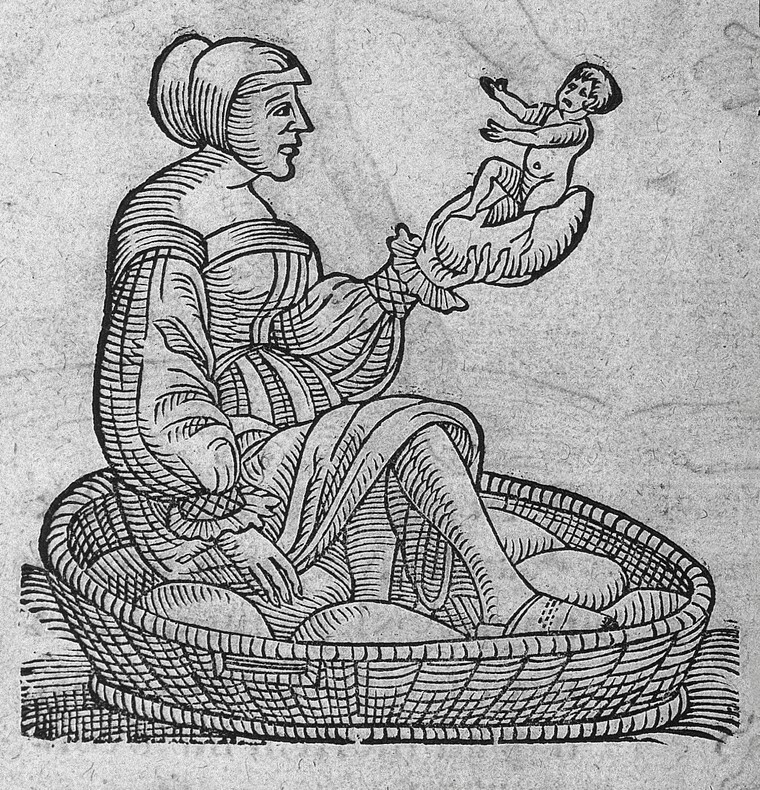 At this time, women were also thought to be able to give birth to “eggs” containing children, and the possibility of bringing forth “monstrous births” was always present. 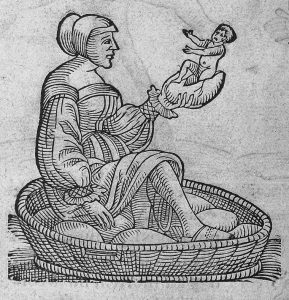 “The Selenetidae woman giving birth to eggs,” in Conrad Lycosthene, Prodigorium ac ostentorum Chronicon (1557). A tale told to Herodotus, the ancient Greek historian, by a village weaver. In the case of false conceptions, it was widely believed that they resulted from a defective conception. Some early modern authors argued that they could be generated by women alone through lustful imagination and masturbation. While authors disagreed as to whether women could self-generate, there was consensus regarding the ways to distinguish a mole from a pregnancy. Jane Sharp explained that “it is very hard to know a false conception from a true until four moneths be past,” as “women with Child about the fourth moneth have their Breasts swoln with milk”. Moles were also discoverable when the term of gestation extended beyond nine months. As Paré described, “som women carrie [moles] in their wombs five or six yeers, and som as long as they live”. Aside from being difficult to identify in the womb, Crooke’s Of the Excellence of Man suggested that moles were thought to cause a woman to “becommeth pale, looseth all her colour” and “pineth away in her whole body”. They were also believed, according to Paré, to “kill” infants that co-existed in the womb, by deriving an infant “both of its room and nutriment”. It was these qualities that made it difficult to classify false conceptions within medical and reproductive knowledge. Physicians and natural philosophers often struggled to determine whether, within the Aristotelean framework of life predominant at the time, a mola had a human soul by being created through reproduction. Crooke explained that some authors believed the mole had “halfe a Soule”. Paré, on the other hand, argued that false conceptions did not have human life, and “increaseth after the manner of plants, but not by reason of a soul or spirit sent from above, as the infant” had. Debates as to the status of the souls or lives of false conceptions offer an important insight into the historical construction of concepts like “natural” or “true” pregnancy. The history of such conceptions can help us towards a better understanding of the ways in which certain experiences were excluded from social and medical narratives of pregnancy. The contemporary condition of molar pregnancy, which may be the most similar condition to early modern false conceptions, is one such excluded experience. Medically, molar pregnancy manifests as either a “partial or complete” mole. Partial moles are created after two spermatozoa fertilize an ovum, creating a conception with an extra set of chromosomes (69 instead of 46), often forming with foetal and embryonic tissues. Complete moles have no such tissues, and are placenta-like, developing after an empty ovum is fertilised by a single sperm. Molar pregnancy also frequently leads to gestational cancer and future tumours. Both forms mimic viable pregnancy through the growth of the uterus, and they often show up on early tests as a successful pregnancy. … like I don’t have the right to be upset about losing a baby, as it was never going to be a baby … I kind of feel like a fake – I know that everyone grieves differently, but its like this whole pregnancy was in my imagination. In the case of “other” births like early modern false conceptions or molar pregnancy, there exists a vast range of experiences that do not fit within popular narratives of pregnancy. False conceptions, similar to the contemporary condition molar pregnancy, involve a distinct experience. These women were indeed pregnant, just not with something we understand as a child, and yet they did not experience something simply reducible to miscarriage. Such experiences therefore require their own history, and their own place within our narratives about reproduction. By examining the history of such “other” births, we can build a better picture of the ways in which medical and social knowledge constructed concepts of the human body, and how these concepts inform our understanding of reproduction and pregnancy today. 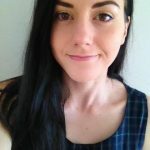 Paige Donaghy is a recent Honours graduate in History from the School of Philosophical and Historical Inquiry and the Institute for Advanced Studies in the Humanities at The University of Queensland. Her thesis examined the place of false conceptions in the history of early modern European medicine and science. She is currently interested in early modern women’s sexuality, particularly the history of women’s masturbation. Follow Paige on Twitter at @donaphy.